The rather astonishing Bald Uakari easily ranks as one of the most distinctive simians known to researchers. Firstly, only four subspecies of this animal exist. But sadly, the IUCN presently lists all four of them as Vulnerable. In addition, each of the recognized subspecies also coexists within the same highly restricted and specific habitat range. Moreover, the principal threats to the existence of this remarkable creature continue to consist of habitat loss and hunting. Regardless of its highly distinctive appearance, the Bald Uakari ranks as a rather small species of primate. 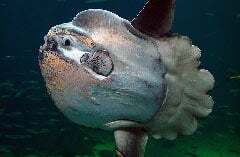 Males average a head and body length of 18 in (45.6 cm), and females only 17.3 in (44 cm). Thus, it exhibits a small degree of sexual dimorphism. Maximum weights for both genders also range between 6.1 – 7.6 lb (2.75 – 3.45 kg), making it quite light for a simian. In addition, the coat generally displays as long and shaggy, and ranges from white in color to red and its head is bald. Its bright red face also occurs as a result of the lack of skin pigments and abundant capillaries that run under its facial tissue. Unfortunately, all four subspecies of the impressive Bald Uakari possess a highly restricted and rather specific habitat range. The species only inhabits seasonally flooded forests in the Amazon biome, in Peru and Brazil, in South America. In addition, individuals primarily inhabit the trees along the sides of rivers, spending the majority of the time in its arboreal habitat. Meanwhile, although technically omnivorous, it primarily consumes a variety of fruits, seeds, and flowers. Therefore, only 5% of its diet consists of meat. The animal also generally travels in small groups, ranging from 5-30 individuals, although such groups occasionally number as many as 100 animals.